Summer is peak season for family travel, but before you venture out, get the scoop on the tech products that’ll help make your summer travel stress-free. From the latest smartphone technology to an all-in-one laptop/tablet, Verizon is your one-stop shop for all your tech needs. This morning I visited KCAL9 to share my tech tips for stress-free summer travel featuring the latest products from Verizon. Watch the segment by visiting the On-Air page. All of the products I featured below can be purchased through Verizon. They have the best unlimited wireless plans for families that like to travel. Before now, everyone had to choose and use only one unlimited plan. Now you can mix and match unlimited plans so each member of the family gets what they need without paying for things they don’t. It’s a great way to save some extra money for more travel! Traveling internationally is one of the best experiences we can give our children so don’t let the fear of not knowing a foreign language hold you back! 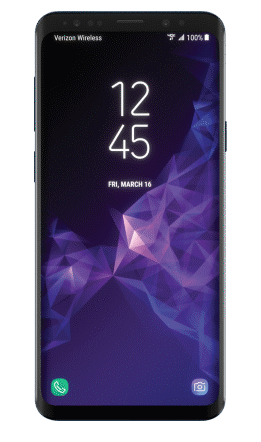 The Samsung’s Galaxy S9 comes equipped with Bixby and it can translate languages right on the spot. You simply use the camera to translate a menu or transit sign on the go. You can even shop what you see in person online, making it easier than ever to bring home souvenirs from your travels. This may look like a standard fashionable watch, but it does so much more. 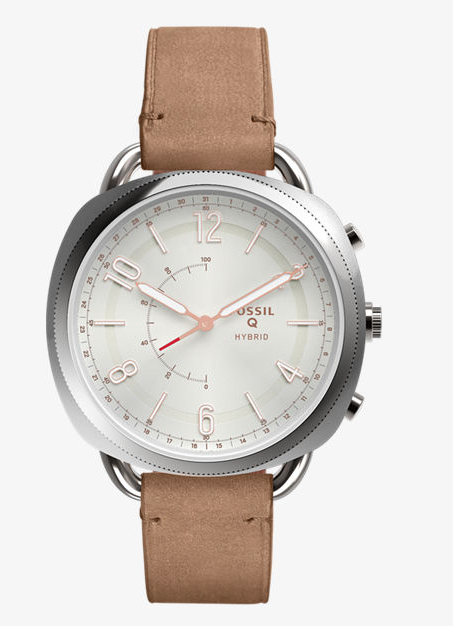 The Fossil Q Accomplice Hybrid Watch connects to an app on any smartphone, allowing mom to receive calls, texts and app notifications from her wrist. Moms always have their hands full while traveling so this watch allows her to keep her hands free, but still stay organized and connected to her phone. She can even control her phone’s music and camera from the watch! Best of all, there’s no need to charge it every day as it can go up to 6 months without a refuel. There’s nothing worse than trying to capture your perfect vacation memories on camera and seeing that “storage full” alert come up. 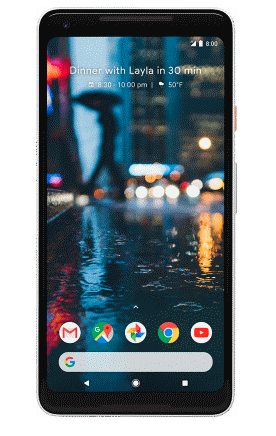 Never miss a moment again with Google Pixel 2 XL. This device has the highest rated camera of any smartphone and you never have to worry about running out of storage space thanks to Google Photo’s free unlimited photo storage. It also doubles as your own personal tour guide. Simply pull up Google Lens on a photo to learn more about landmarks, artwork and more. 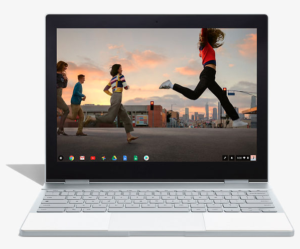 Google Pixelbook is an all-in-one device that’s perfect for travel. You can use it as a laptop, fold it into a tablet, flip the keyboard back to watch movies, or stand it up in tent formation. 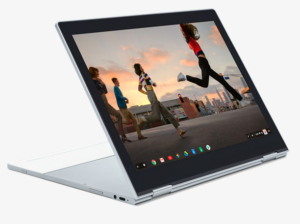 It even doubles as a sketchbook when you use the Pixelbook Pen, which kids love. You can ask questions about your destination, or control your music and videos by simply using your voice. Best of all, you don’t need to worry about it dying halfway through your travels. The battery lasts a whopping 10 hours! It’s so nice to only have to bring one device when I’m traveling because this thing does it all. Traveling with kids and teens means they will want access to music, movies and TV shows to stay entertained. Nothing will cause a meltdown faster than reaching for your wireless ear buds and realizing you’ve lost one! Or worse, finding your wired ear buds tangled at the bottom of your bag. 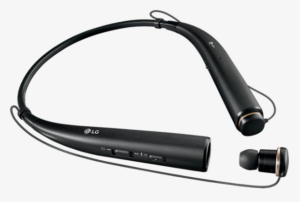 That’s why the LG TONE PRO Headset is a travel must-have. These wireless headphones are super lightweight and will never tangle thanks to it’s hidden magnetic earbud design. They’re extremely comfortable and deliver outstanding sound quality. While all this fun tech is great, you want to make sure you have the right plan in place for the entire family while you travel. Before now, everyone had to choose and use only one unlimited plan. That meant either someone misses out on features and performance they want, or everyone else pays more than they should for stuff they don’t need. Now you can mix and match unlimited plans, so each member of your family gets what they need, without paying for things they don’t. Your kids may only need an unlimited plan to deliver the basics – to call, text and stream without worrying about overages – but you may demand HD video and 4G LTE mobile hotspots and more data if you are planning on doing some work while traveling, for example. Learn more by visiting Verizon’s website!